ALKALINO/LOVE DROP/TERRENCE PEARCE/ALEX ZUIEV Bumpin Soul EP vinyl at Juno Records. 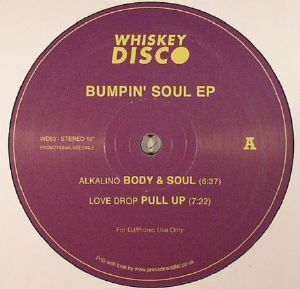 There's no complex concept behind the latest four-track EP from the reliable Whiskey Disco camp, just a quartet of killer re-edits crying out for peak-time plays. 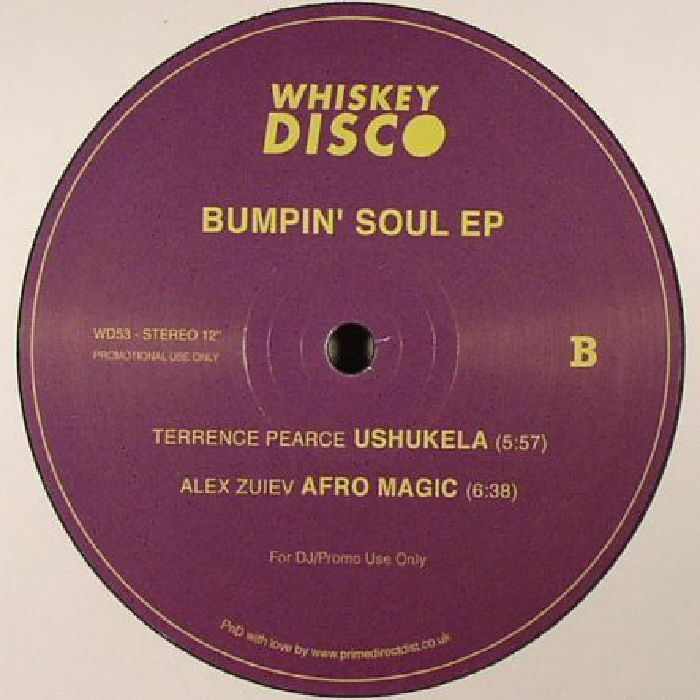 Highlights wise, we're particularly enjoying the hard-spun Afro-disco grooves and well-placed dub delays of Alex Zuiev's "Afro Magic", though Alkalino's quirky opener - a thrillingly dubbed-out take on a tongue-in-cheek, left-of-centre disco treat - is also superb. 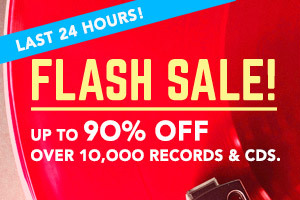 Elsewhere, Love Drop sticks heavy new house beats underneath a stone cold classic (listen to the clips and you'll be able to identify the source material in seconds), while Terrence Pearce crafts a space-disco epic out of undulating Afro-disco grooves, bleeping synth melodies and some seriously cosmic effects.